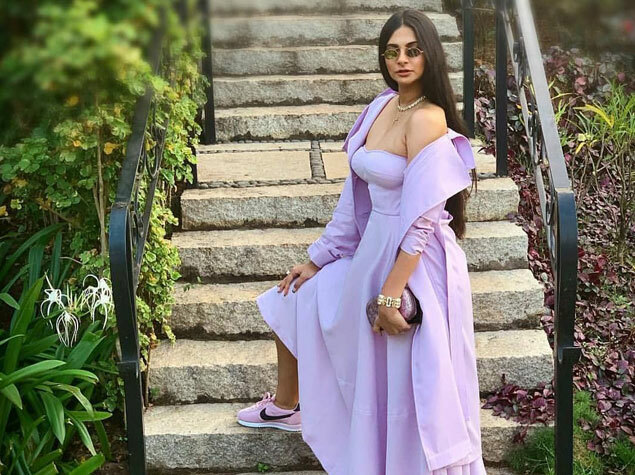 Rhea Kapoor looking lovely in lilac. We love the way she combines our Avant Garde pieces with more casual/ resortish fashion. Here she is in our white agate links & diamond bracelet in 18k yellow gold.